Thousands of athletes descended on the Gold Coast of Australia to compete against the world’s best triathletes in September. 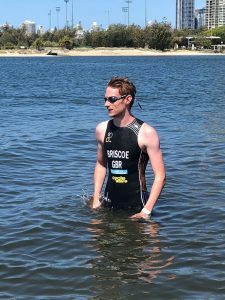 Obviously that included James Briscoe, sponsored by Labcold who took part in the age group 20 -24 category and finished eighth in the world despite experiencing cramp, having to change his bicycle wheels and coping with the high temperatures. This amazing achievement is coming of the back of a great result in the European Championships held in Tartu Estonia where James came third despite most of his equipment, including his bike, being lost by Manchester Airport. Well done James – we’re so proud of you and we can’t wait to see what happens next season – we think it’s going to be awesome!